IIF is one of the new logical functions in SQL Server 2012 which Returns one of two values, depending on whether the Boolean expression evaluates to true or false. Generally we had to use IF condition or CASE….WHEN….THEN statement to achieve the functionality being offered by IIF. 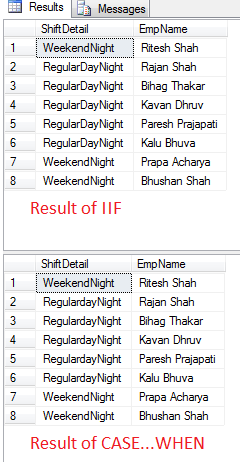 IIF is shorter function to use as against IF condition and CASE….WHEN….THEN statement. If you write IIF function compiler actually rewrites the IIF function as a CASE statement so the behavior of IIF and the simple CASE statement are identical though you will save some key stroke as compare with CASE…WHEN. 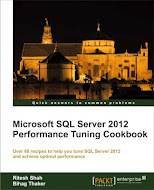 Let us see one small example which demonstrates the use of IIF function in SQL Server 2012. This entry was posted in IIF, SQL Server 2012, SQL Server Functions and tagged IIF, sql server 2012, SQL Server Functions on November 16, 2012 by Riteshshah.